Learn this classic California-born swing dance at a special Saturday workshop! On June 2nd, join Cami Asher and Rachel Philips for 3 hours of Balboa lessons starting from the very basic movements to some fancy moves sure to impress.  Workshop held at Studio @ - Ryan's American Dance, 202 Tank Farm Rd, San Luis Obispo, 93401. Tickets are available for presale now via our Eventbrite. Prices will go up at the door, so buy early and save! No prior experience necessary! Learn Balboa from the ground up. Perfect for beginning students or those looking to refresh their Balboa basics. For students who completed the first half of the workshop and/or have prior Balboa experience. Learn more moves and techniques to build upon the basic foundation. Rachel Phillips started dancing in Berkeley in 2015. She was walking through Sproul Plaza, heard the infectious music, and knew she wanted to learn to Lindy Hop! As she learned more and swing dancing though, she fell more and more in love with balboa. With a background in tap dancing, her favorite part about the dance is the rhythm, and she loves to play with the footwork to create new rhythms in her social dancing. 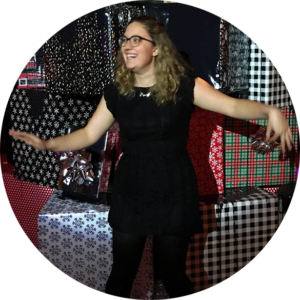 When she’s not dancing, Rachel enjoys playing board games, learning to ride horses, and reading up on the fascinating history of jazz music and dance. Cami Asher started swing dancing in San Diego in 2015 and has been doing Balboa for a year. 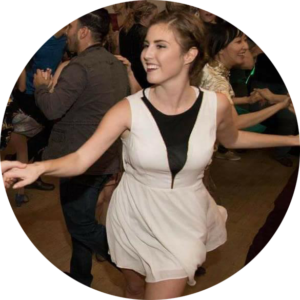 She is an active participant in many swing dance scenes including San Diego, Orange County, Los Angeles, San Luis Obispo, the Bay Area, and Sacramento. She has recently taken the competition circuit by storm, winning 1st place in the Amature Lindy Hop Social at Inspiration Weekend and 3rd place in the Amature Social at SLOx 2017. Most notably, she is high off of her recent 1st place win at the Camp Jitterbug Open Division Balboa Social. Cami focuses most on the creation and quality of momentum and is excited to share her love for Balboa with all of you!